The well-publicised recent news that the skeleton of Richard III has been found by archaeologists in Leicester is not the first archaeological discovery that has been found beneath a car park. The desire for places to park cars and cover flat locations with tarmac and straight white lines describing car-sized boxes has uncovered all sorts of prehistoric traces in recent decades and one in particular sprung to mind when I read about the twisted bones of a king. Urban prehistory is paradoxical though: the three huge postholes found near Stonehenge just about survived having a car park extended over them, only to be further threatened today by the removal of the same car park. 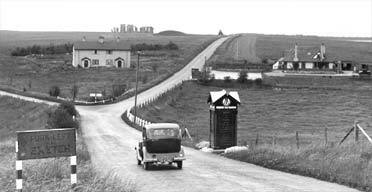 Throughout the 20th century, Stonehenge became increasingly entangled with the local and regional economy, and the financial fortunes of whoever claimed ‘ownership’ to the extent that access to Stonehenge is now mediated by bus tours, and expensive exclusive pre-dawn access arrangements. Such arrangements appear to date back to attempts by the then owner Sir Edmund Antrobus to charge one shilling for access to the stones in 1901. Such financial disincentives to visit, however, have never put people off. In 1966, the car park at Stonehenge had to be extended. This was because by then Stonehenge was becoming an increasingly popular ‘tourist attraction’ drawing ever larger numbers of visitors who had access to their own car or who could afford to jump onto a touristic omnibus. The ‘excellent’ road links at Stonehenge (the A344 runs a few metres away from it, the A303 nearby) meant that the car (and bus) was increasingly the main way of accessing the monument, and parking on verges on the roadside became untenable. 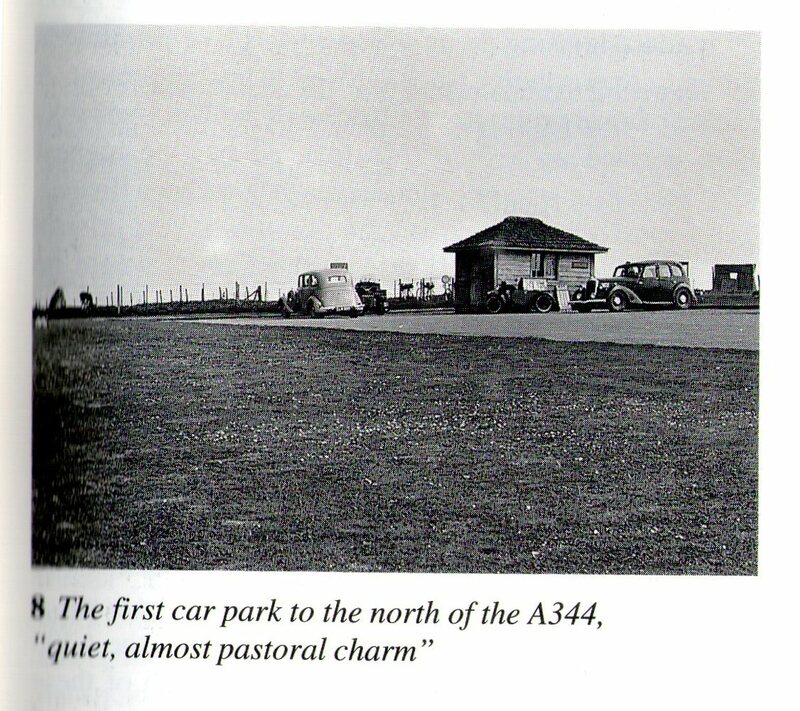 The first formal Stonehenge car park was actually constructed just across the A344 from the standing stones in 1935. This was constructed on National Trust land, to service the some 15,000 visitors per month who were drawn here even in the 1930s. This car park was furnished with a small ticket kiosk and toilets, and ice cream vendors soon swooped like confectionary vultures. This facility was described by John Piper in 1948 as, ‘a clearly visible eyesore and the custodian’s chalet in a tasteless and decorative art style, flanks a car park, a turnstile revolves in the wire fence and the ladies and gents is a good solid eyecatcher’. Yet compared to the bloated and extended car park that for now serves Stonehenge, the ‘phase 1’ car park could be said to have had ‘an atmosphere of quiet, almost pastoral charm’ (Lloyd Jones & Crosby 1992). Demand for the monument continued to grow, to such an extent that the original car park and the much abused road verges and tracks around Stonehenge were no longer adequate, and so the aforementioned 1966 car park extension was undertaken. This work was carried out by the Ministry of Public Buildings and Works between 7th February and 18th March in that year, with the car park extended quite considerably to the west. The ground level was initially stripped and levelled by a JCB, under the monitoring of archaeologists Faith and Lance Vatcher. In their report on this work, published in the Wiltshire Archaeological and History Magazine in 1973, they state what happened next. ‘During the cleaning down of the surface to the chalk, three circular holes appeared….in a line running approximately E-W, with a fourth disturbed patch in the chalk of more irregular shape at the western end of the line’. Upon subsequence excavation, these three regular features were shown to be very large pits that had once held timber posts. The fourth ‘blob’ was more amorphous and thought to be a tree throw, that is an irregular pit indicating the location where a tree once stood. There followed in the excavation report a description of the large postholes – which were up to 1.5m deep – and their arrangement relative to one another, and Stonehenge itself a little to the northeast. These postholes could have supported timber posts with diameters of 60cm to 80cm, and using a simple posthole depth / post height ratio of 1:3.5 (the standard measurement for such things) these posts could have been up to 6m in total length, 4m or so of that above ground. These would have been impressive posts, but what was most surprising about the Vatcher’s discovery was that the posts appear to have been made of pine. As Mike Allen has noted, pine would not have been native to the chalk downs of southern England in the Neolithic, yet the Vatcher’s supposed these posts to have been Neolithic in date. But, radiocarbon dates undertaken on samples in the mid-1970s revealed the remarkable discovery that these posts had been erected in the Mesolithic period, making these perhaps the earliest monumental structures ever found in the British Isles, dating to over 8000 years ago, millennia before Stonehenge was constructed. It is not known, however, if all these posts stood at the same time, or if one replaced another over time. What were these posts doing here? There is little consensus on this, other than that archaeologists typically describe them as ‘totem-pole like structures’, which conjures up visions of colourful posts with carvings, perhaps to be worshipped. This is as good an explanation as any, although we have little concept of what Mesolithic rituals may have entailed, and no parallels for posts of such antiquity have since been found in Britain. The tree throw has been interpreted by Mike Allen as also once having held a post, although its position on the post line may also suggest that a living tree was once part of this monument. Further work in the car park in 1988-1989 by Martin Trott of Wessex Archaeology discovered a rather amorphous pit or posthole feature in the vicinity of the current ticket offices. This again dated to the Mesolithic. These ‘whole trunks of pine’ (as Tim Darvill has called them) suggest a synergy between posts and trees, and seem to indicate the first instances of monumentality in this incredible landscape. Immediately after they were excavated, the postholes were backfilled with gravel, and then aluminium tubes were places into the centres of the holes where the posts once stood. These then were used to position concrete markers which were set into the car park tarmac. 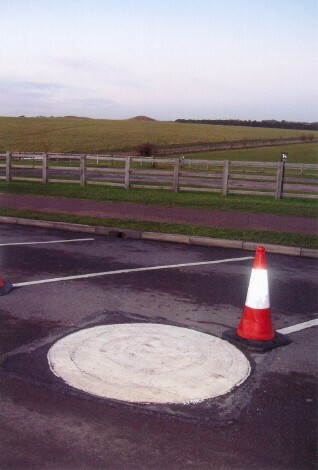 These are indicated in the modern car park surface by three quite regular white painted circles, which may or may not be the upper surface of the concrete post markers. Little is made of the three holes beneath the car park (never mind the tree throw) and it is walked across, driven across, and generally ignored by most visitors in the clamour to get to the stones. The car park and amenities have stimulated a number of excavations – in 1935, 1966, 1984, 1987, 1988, 1989 and so on – but these are the only discoveries to date of such significance and the only finds to stimulate the use of white paint, concrete and aluminium in such a way. And now the postholes are about to undergo another transformation. With the ongoing construction of the new Stonehenge Visitor Centre, the current car park is now about to be decommissioned. The fate of the postholes is unclear, but from what I can gather online, it appears that English Heritage will continue to mark the postholes for visitors, using ‘sensitively designed low level markers’ . The postholes will also sit within a very different context. The major transformation of the Stonehenge visitor experience will involve a new visitor centre in an entirely new location, with the current kiosks, subterranean bogs and the shops being replaced by – according to EH – ‘a very small hub … near the stones to provide emergency toilets’. The marking of these posts has always struck me as strange. On the one hand, it is commendable that the location of such ephemeral features (that do not fit comfortably into the Stonehenge narrative) have been afforded some paint in the car park. On the other hand, the lack of information on site means that they have been rendered meaningless, just another tarmac variation. 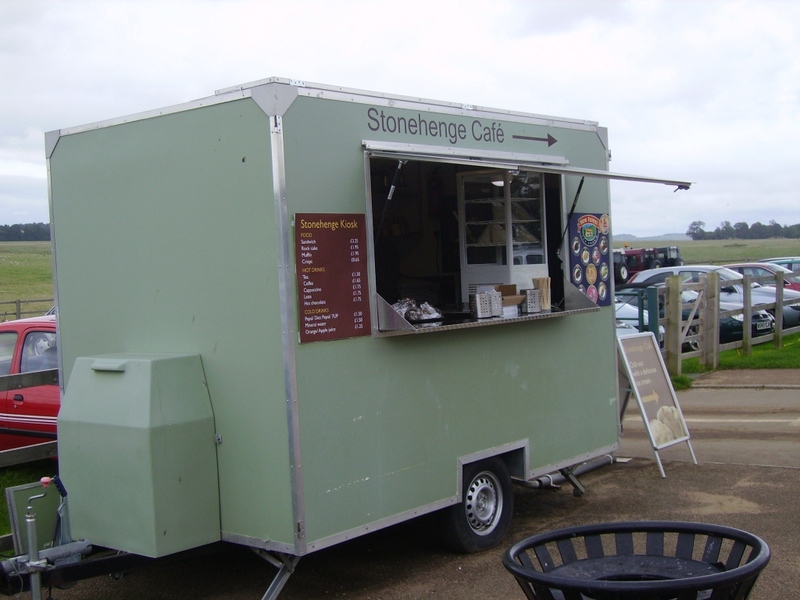 The renewal of the visitor amenities at Stonehenge offers an excellent opportunity to rethink the presentation of these Mesolithic marvels to the visiting masses; EH should act while car parkaeology is in fashion. 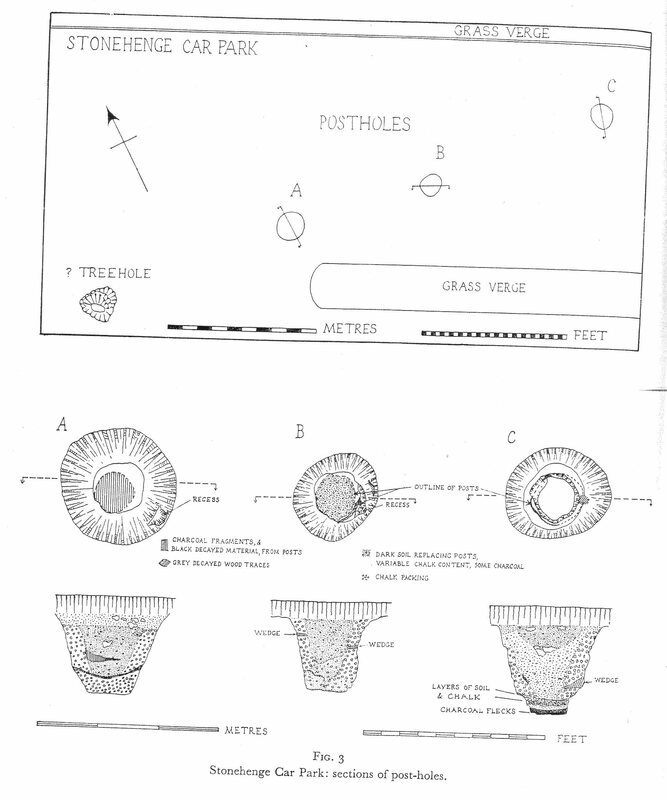 Sources: For the original excavation report of the tree throw group, see Vatcher, G and Vatcher, F 1973 Excavation of three post-holes in Stonehenge car park, Wiltshire Archaeological and History Magazine 68, 57-63 (source of the excavation plans reproduced above). Subsequent reporting on the radiocarbon dates can be found in the journal Radiocarbon volume 29, although it is better to go to Mike Allen’s comprehensive synthesis of the Vatcher’s work, subsequent dating and the 1988-89 excavations. This can be found in Cleal, Walker and Montague (eds) 1995 Stonehenge in its landscape: Twentieth century excavation published by English Heritage. For a more accessible overview, see Tim Darvill’s 2006 book Stonehenge: the biography of a landscape (Tempus). For an excellent summary of the ‘treatment’ of Stonehenge over the past 150 years, including touristic developments, see Peter Lloyd Jones and Theo Crosby’s excellent 1992 book Stonehenge Tomorrow (the source of the first Stonehenge car park photo) . 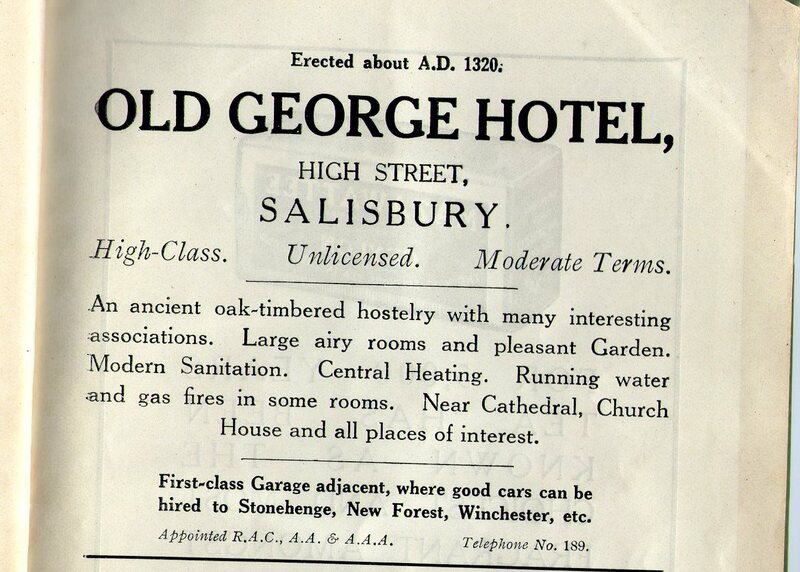 The Old George Hotel advert came from Frank Stevens’s 1929 booklet Stonehenge Today & Yesterday, while the black and white image of 1930s Stonehenge is reproduced from a Guardian article, and is part of the National Monuments Record. The Stonehenge posthole marker photo belongs to ‘AngieLake’ and was initially published on the megalithic.co.uk website; this was also the source of the comment on the fate of the postholes. The John Piper quote comes from the Architectural Review, and the Antrobus anecdote from Julian Richards’ book Stonehenge: a history in photographs.